Folks this was my most challenging shoot to date. Not because of the acutal shooting, but what happened behind the scenes leading up to it. We titled it, "Bending the Cosmos", A shoot that should really have been titled, the stars are STRUUUUUUUUUUGGGLIN to align. Let me tell you what happened. The team and I had agreed on a model to use for an uber creative fashion story. The date was set, and we had the extreme benefit of partnering up with THE SO SO TALENTED Celebrity/Make-up stylist Victor Price and BANGING BOUTIQUE OWNER, shannon from Junction of 1510 u street. Everything was set for sunday at 11am to bang this one out of the park. We were going to do 6 complete looks---shoes, clothes, accessories...you know THE WORKS!. Being the social guy that I am, i went out the night before...and prob had a lil TOO much to drink. I blame that on my friends/wedding clients for celebrating a lil too hard at District and getting mr. poteat a lil loose on the goose :) After an enjoyable "classy"--[snicker snicker] evening, I stroll in my house at say...3am, get an EMAIL from the model of the shoot we're suppose to have in 8 hours. "I'm so sorry but I'm sick so much and i can't stand up from my bed, I feel bad myself so much(((("
This is a direct quote ya'll. The girl is russian, so please excuse the grammar. LIVID, i was! How you gonna cancel on a shoot scheduled at 11am at 3am via email! A mess, and in the words of some famous fashion person, "she'll never work in this town again...lol, i kid. i kid. But i do hope she has a very challenging time finding additional work. THANNNKFULLY, i remembered SMART agency. 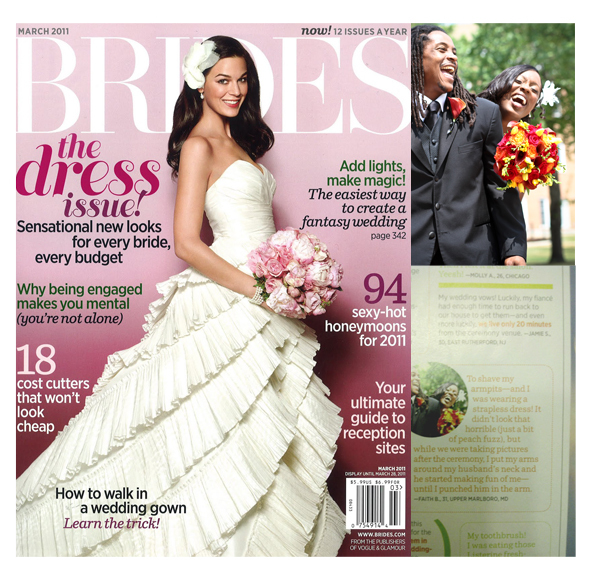 i had worked with them on a magazine ad shoot in atlanta, ga. I contact them, plead my heart out of being out of a model, and potentially at risk of utter embarrassment. THEY SAVED THE DAY...at 4am on sunday. i had a new model ready to go at 4:30am..and it was business as usual. I swear, mr. poteat does not do drama well...but am happy to know that I have a wonderful team and a host of new friends/clients that help put out them fires when they do start smoking. 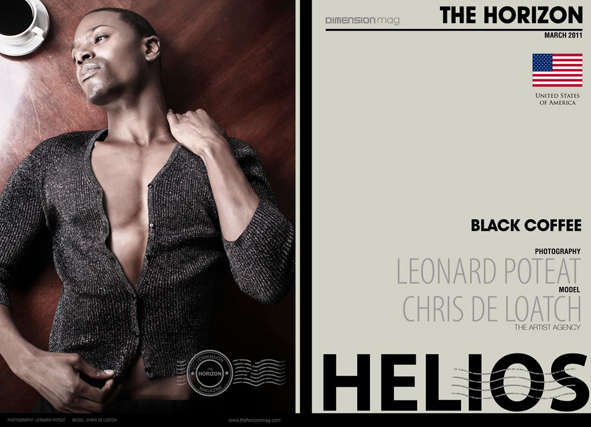 FEATURE: HORIZON MAGAZINE "Black Coffee"
It's a biiiiiiiiiiiiiiiiiiiiiiiiiiiiiiiiig treat and honor to have any photo selected and showcased in BRIDES Magazine. Special thanks goes out to the lovely-------and oh so amazing couple Faith and Al, for allowing me to document their day...and have it turn up in the pages of BRIDES. BOOOSTED!